Carpet And Rug Institute Certified. Clean Equipment Equals Cleaner Carpets. Don't settle for mediocre when you can get Father and Son Carpet Cleaning! Keeping the abrasive grit out of your carpet investment will prolong the service life by as much as double, saving you money! 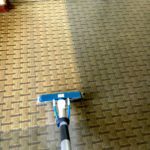 At Father and Son Carpet Cleaning we pride ourselves in providing the best Utah carpet cleaning and carpet repair services for the right price. As a result of our dedication to efficient, economic and expert service, the great majority of our business comes from client referrals. We clean carpet the way carpet manufacturers want it done. Our standards meet the requirements of your warranty for your carpet and go above and beyond the standards in the industry. Our unique final extraction rinse will leave your carpet clean as new and residue free in accordance with carpet cleaning standards. You will enjoy a softer feel, pH neutralization and your carpet will stay cleaner longer. If you are looking for the best carpet cleaning Utah experience, Call Father and Son! We efficiently, cost effectively and within your budget clean large and small commercial jobs in Draper and South Jordan. 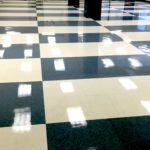 In addition to expert commercial carpet cleaning and tile / grout cleaning, we also perform strip and wax of VCT tile. Please see our VCT page on this website. Our commercial clients are extremely pleased with our quality of work and we repeatedly hear from our first time customers that they never saw such clean carpet at their work place. Our commercial cleaning experience includes, car dealerships, country clubs, medical and healthcare facilities, Chinese restaurants, movie theaters, event venues, places of worship, commercial office buildings, manufacturing facilities and childcare facilities and schools. Our personalized and customized service approach with our high quality standards insures the best results. 100% customer satisfaction is our number one priority. We are equipped to handle the job whether it is slightly soiled, heavily soiled, or has high traffic areas. We are confident we can restore your carpet and give you the right price for the quality you expect. A deep steam carpet cleaning promotes your health and the health of your carpet. This cleaning method increases the longevity and enhances the appearance of the carpet. Our properly maintained equipment and the state of the art solutions will eliminate the smallest of particulates such as indoor pollutants, dust, and allergens such as dust mites, pollen and pet dander. We especially look forward to serving Draper and South Jordan, to help deal with the construction dust in your homes from south mountain mining! We clean carpet for a healthy indoor environment that will not only increase the lifespan of your carpet, but create a pleasant appearance. 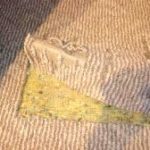 We extract particulates which tend to damage carpet. These particulates include grease, oils, and pollutants that have adhered to your carpet. By extracting these contaminants, allergies from pet dander, pollen, and dust will be greatly reduced or removed. Not only do we clean carpets, but Father & Son is your one stop shop for getting your carpets, windows, tile, ducts, and dryer vents cleaned in Sandy, Draper, South Jordan, and even Utah County! 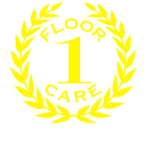 We founded our carpet cleaning company in 2010. Since then we have been freaquently reviewed as the top carpet cleaning service in Utah. 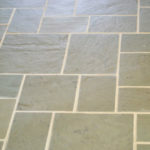 We specialize in both residential and commercial floor cleaning. So whether it's your home or business, we are Utah’s best solution for Carpet Cleaning, VCT strip and Wax, Tile and Grout Cleaning, Rain Gutter Cleaning, Pet Stain Removal, Flood Water Extraction, Upholstery Cleaning, HVAC Air Duct Cleaning, and much more! Serving Utah in Salt Lake City, Sandy, West Valley, West Jordan, South Jordan, Murray, South Jordan, Midvale, Taylorsville, Holladay, Riverton, Cottonwood Heights, Herriman, Alta, Millcreek, Lehi, American Fork, Orem, Eagle Mountain, Saratoga Springs, and more.